Welcome to Koujitsuann ! This is a Urasenke Chado Tradition classroom run by Mr. Sei Sōsei located in Oguradai of Chiba county, mid-way between Tokyo and Narita Airport. 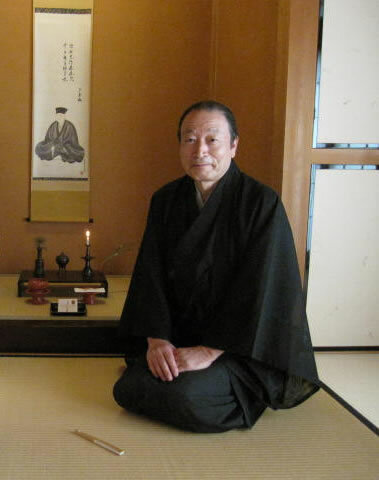 Mr Sei Sōsei has been named a full-professor by the Urasenke Grand Master in 2008. He is fluent in English and has experience in teaching international students. At present, there are about fourty-three students practising regularly at our classroom. While chado gives the impression that it is a pastime of Japanese young ladies, there are 8 male students in our classroom. The student body is composed of 2 associate professors, 12 senior lecturers, 3 lecturers, 6 assistant lecturers, 8 intermediate students and 11 beginners. An annual tea party/chakai is organised every spring. Students get the opportunity to practise in real situation while their guests enjoy tea in a pavillon situated in a scenic garden. Mr Sei Sōsei has led his students to perform chado demonstration on Mt. 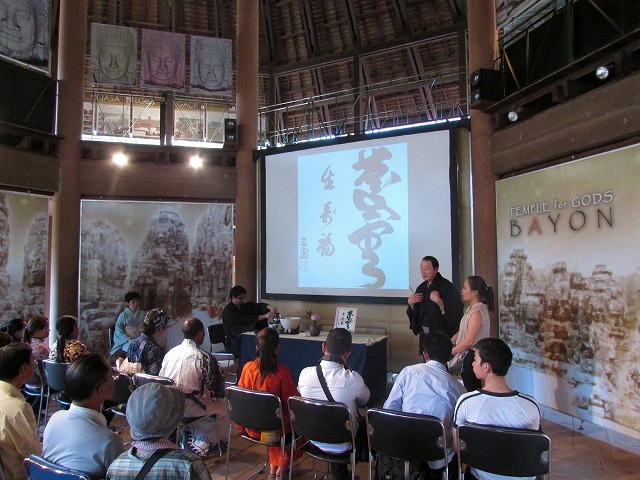 Fuji conduct cultural exchange overseas. Previous destinations include Cambodia and France. 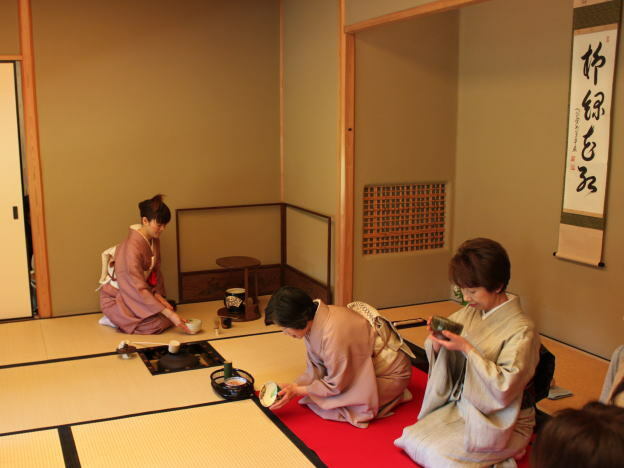 The teaching complex includes a traditional tea garden and two Japanese rooms, a smaller one of four-and-a-half tatami and a larger one of eight tatatmi, each with an adjacent mizuya (preparation room). Lessons are offered almost every day throughout the year. We welcome complete beginners as well as more experienced students. Each student receives personal attention from the teacher and an adequate curriculum is designed for each individual. For the more experienced students, we also offer classes in basic kagetsu, more advanced shichijishiki and chaji (full version of tea gathering). We also welcome those who wish to seek an initiation to chado. You could reach our classroom by monorail or by bus from Chiba Station or Tsuga.